Working from her studio in Dorset, Michelle McCullagh is a passionate rider as well as a committed artist, having competed in equestrian events since childhood. Following her 2008 graduation from Falmouth University in Fine Art, McCullagh has participated in a range of group exhibitions as well as holding solo shows. 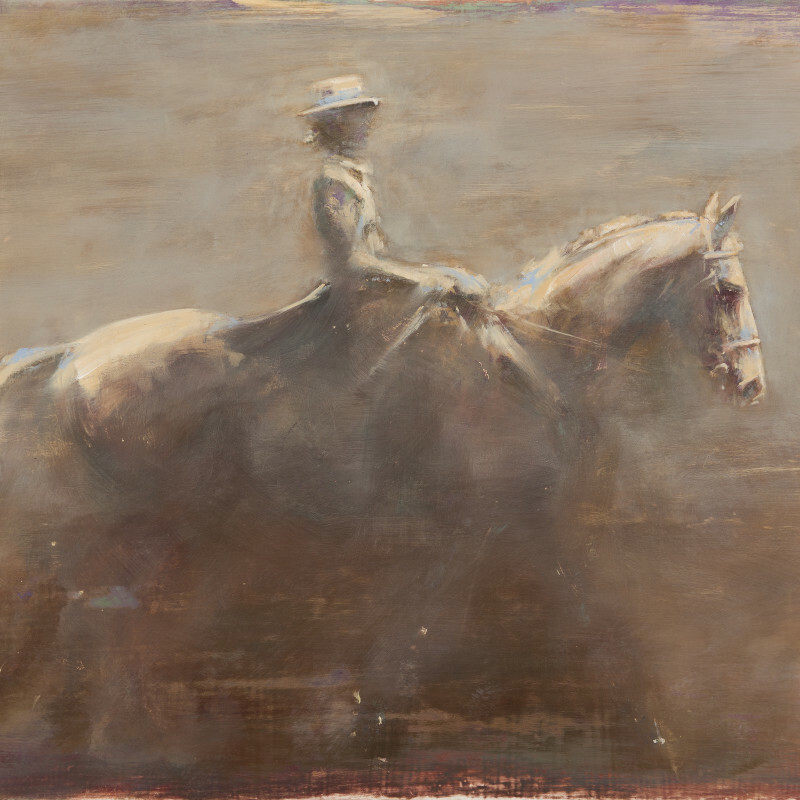 McCullagh’s oil paintings express movement and characteristic Thoroughbred features, using contrasting colours to create the effect of flashes of light. Her drawings and sketches similarly capture both movement and anatomy, emphasising light against shadow through areas of blank paper and heavy shading. In drawings and oils of cattle and hounds, among others, she brilliantly uses this technique to convey not just physicality but also mood.